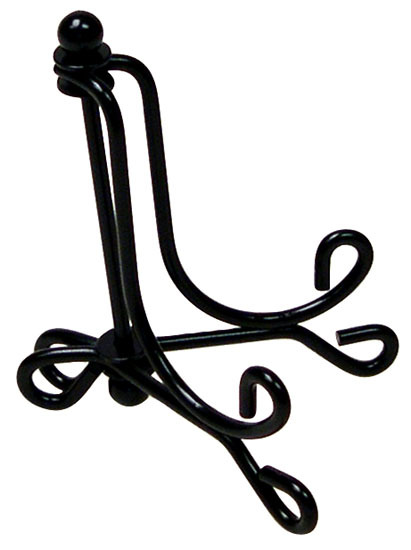 METAL DISPLAY STANDS - Tabletop and Counter Top Display Easels and Stands for Showcasing Decorated Plates, Tiles, Holding Placcards, Place Settings, Menus and much more. Adjustable Display Stand. Ideal for tabletop or counter displays. 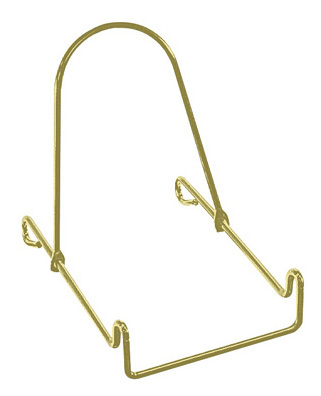 Rigid wire is bright brass plated wire that resists tarnishing. Very versatile. Folds flat. 4"H x 3-1/4"W. Maximum depth is 3"
Display Stand. 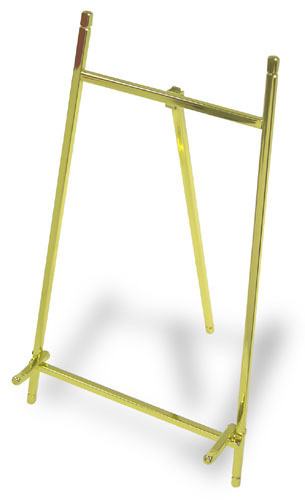 This tabletop easel has a hinged leg. Crafted from rigid wire with a satin black finish. 12-3/4"H x 8-3/4"W at its base. 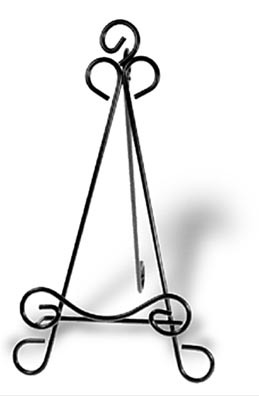 Cradle is 5"W x 1-1/4"D. Holds 7" to 10" Plates, etc.